Theres been more than a few voices out there on the internet and in other codes complaining about the media coverage given the AFL Womens competition. This has come from a variety of sources most of whom seem to be voicing the opinion that given its embryonic stage, the media coverage is disproportionate, undeserving and unwarranted. Fine, so lets talk about this. Media coverage isnt just handed out on a platter, it takes work and resources. It takes a professional sporting body, single minded in its drive for something to be seen, from the league board, its CEO, the clubs, and the players. First there was the drive from the top. Originally planned for 2020, AFL CEO Gillon Mclachlan decided to ride the waves created by the Womens Big Bash League and strike early while the iron was hot. Mike Fitzpatrick credited Mclachlan with convincing the AFL Commission to go along for the ride at his retirement press conference. The clubs were enthusiastic for the most part, with the AFL recieving thirteen applications from the eighteen clubs, with the other five electing not to apply for a variety of reasons including lack of facilities, existing financial strains, and alternative business focuses. That said, no club came out and condemned the competition that was proposed. Players were enthusiastic from the word go. They were prepared to play for a vastly underwhelming salary package simply so they could play. A large number of former players, who had to quit the game due to rules preventing girls from playing with boys past the age of 12, and a lack of girls clubs until fairly recently, came out in support of the competition. Then we get to the media coverage and theres a few things to bear in mind. The AFL’s own media unit is larger than a lot of news organisations entire newsrooms. Not only that but each club has a designated reporter of its own. The AFL enjoys a very cozy relationship with both News and Fairfax newspapers. This has been honed to a tee over a century and a half of dealing with the media in Melbourne. The AFL enjoys a healthy relationship with both the Seven Network and Foxtel, which has enabled them to leverage its relationship to get Seven and Fox to cover every Womens game live – an unprecedented feat for any sport in this country – and the AFL has been able to get them to pay for the costs. The AFL gets some additional support from the Nine Network in Melbourne, through its broadcasts of Crocmedia productions like Womens Footy, Future Stars, Footy Classified, as well as the long running and often maligned Footy Show. The AFL enjoys extensive relationships with radio broadcasters including the ABC, Triple M, SEN, 3AW, and much more. The league wasnt shy about the competition. There were individual press conferences to announce the competition, the teams, the team name, the team jumpers – and all the while marquee players and draftees wandered the halls of the nations media centres spruiking the concept at every opportunity. It baffles the mind that with all of the above, that people honesttly expected the league to just quietly launch a brand new senior competiton for Women. The AFL hasnt launched anything quietly in its entire existence. Everything comes with fan fare, media appearances, press conferences, and extensive advertising. Media coverage aside, the league also relies on supporters who have made the AFL the most attended league in the country by a wide margin, and whose members dwarf the memberships of the other codes – and several clubs had their womens memberships fully subscribed. The League and its clubs were able to use existing sponsors in many instances, clubs gain added support from existing partners for their womens competitions, as well as adding new ones. By leveraging its massive supporter base, the league was able to drive interest further than any other league could from a high starting point. To further drive this point, the league announced that entry to the games would be free. Critics suggest that if the league charged entry that crowds would be vastly different – and while that be the case – the fact is that the entry fee being waived was also aimed at driving casual interest in the new competition. Playing them at traditional suburban footy grounds like Princes Park, the Western Oval, Thebarton Oval and Fremantle Oval only helped the competition further. Gate receipts aren’t everything they are cracked up to be. Heres the thing though. This is how a professionally run sporting organisation is supposed to launch something. Its not supposed to be some mediocre social media post, or online streaming event. Its supposed to generate buzz before the competition, so that the media and supporters keep running with it during the competition. its supposed to be a showcase for the organisation involved – in this case the AFL. All of this came to a head at the opening match. Not only was it the opening game of a new competition in prime time, not only was it free entry, but it was Carlton v Collingwood, probably the oldest real rivalry in Australian Football, and it was at Carltons traditional home ground at Princes Park. It was quite the spectacle. Yes, there are other womens sports out there – the WNBL, Netball, the W-league have all been around for years without gaining the media traction that the WBBL and now especially the AFL have been able to pull. Its what happens when you have massive resources thanks to a massive – and financially rewarding – mens competition, and a single drive to use them to support a concept. Skill level has next to nothing to do with the coverage its been receiving. While we’re talking WBBL and AFL, its worth noting that over the course of the most recent season, WBBL figures started high at around 320,000 metro viewers, before finishing the season before finals with about 100,000 viewers per game. And these were all curtainraisers before the mens WBBL fixtures on Ten. The AFL Womens competition started very high, before coming back to a more even keel, dropping from 590,000 metro viewers at the opener down to 152,000 this past weekend, fighting the AFL mens preseason for crowds and tv ratings. The AFL Womens average is still higher than the WBBL in season 2. 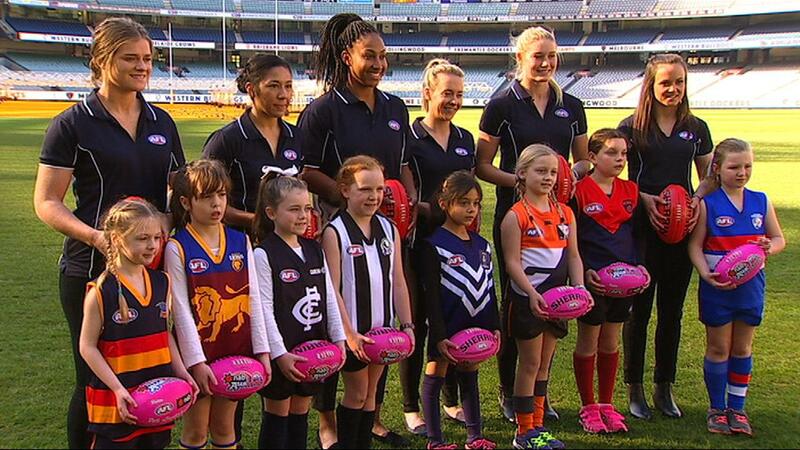 To date, more than 150,000 people have attended AFL Womens matches across the country. 12,000 people attended a game at Norwood Oval on the weekend that was the largest crowd at that stadium in 27 years – and this is the home of a senior SANFL side in Norwood. Attendances across the league are fairly steady at just under 8,000 per game five weeks into the season. Yes entry is free, but you cant tell me seriously that the league would have been better off if it had charged 15 bucks a head and had 1/4 the crowds (the W-league averaged 1,500 per game this season) and little to no public interest whatsoever. In the end its not who “deserves” media coverage that will get it, its who can get the interest and imagination of the public, and hold it. Who says its ever going to get to that point? This has been announced as a long term project, not a short term one. AFL Womens isnt going anywhere.